The Hachiya Foundation has donated $27,983.83 to the National University of Samoa and announced the end of its support as it will disband. Magele Mauiliu Magele, Afioga Masoe Norman Wetzel, and Hideno Kobayashi—who are members of the foundation’s committee—made the announcement yesterday, and said the $27,983.83 is the remaining balance of the scholarship fund and it was only proper that they gave it to the university. “The committee have discussed that it’s best to discontinue running this organisation because most of our members have employed themselves overseas including myself, and especially that our former chairman is deceased, which is why we’re donating the money left in the account,” said Mr. Magele, who is a former education minister and parliamentarian. 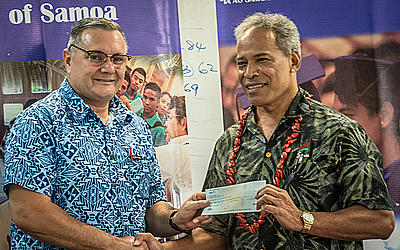 The Vice Chancellor of the University, Prof. Fui Leapai Ilaoa Lai Asofou Soo, welcomed the decision of the foundation’s committee and long-term support, saying the funding will go to the university’s Research and Ethics Committee, as they continue to appeal for funding support for their projects and research. “This huge amount of money can be of help to the U.R.E.C with their research and it will be directed straight to their account,” he said. The U.R.E.C is a committee of staff from the N.U.S who oversee research and projects within the university campus, and work to develop and improve the University. 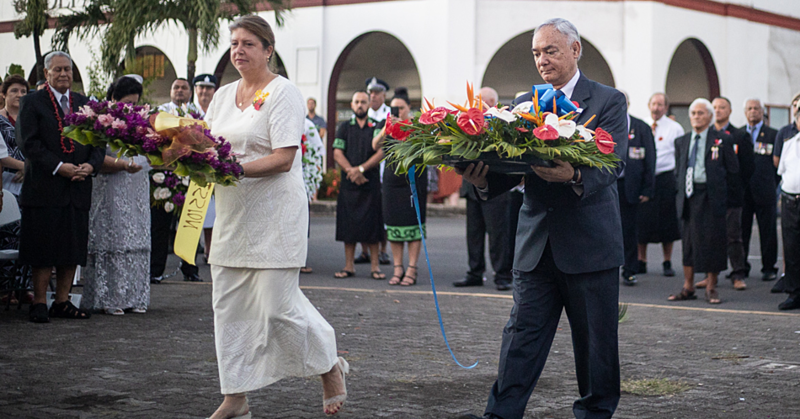 The Hachiya Foundation has a long association with Samoa’s national university, especially in early 2008-2009. In April 2010 the foundation donated $10,000 to the university to assist with the production of a C.D. on the institution’s jubilee celebrations. 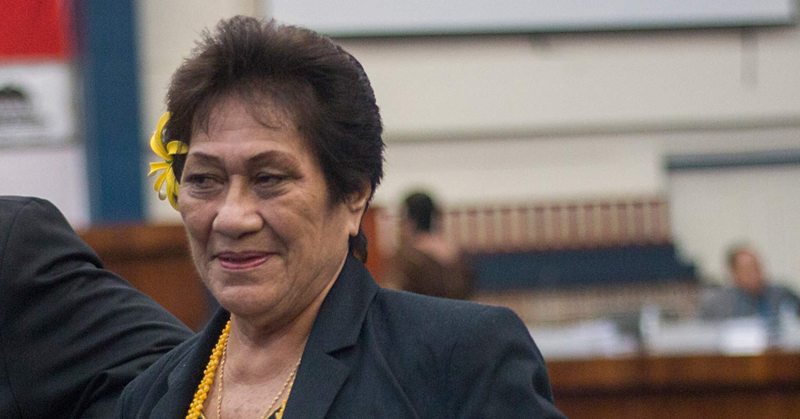 The foundation—through its scholarship fund—has supported the university including its students since the appointment of Prof. Fui Leapai Ilaoa Lau Asofou So’o to the position of Vice Chancellor and President in 2009.